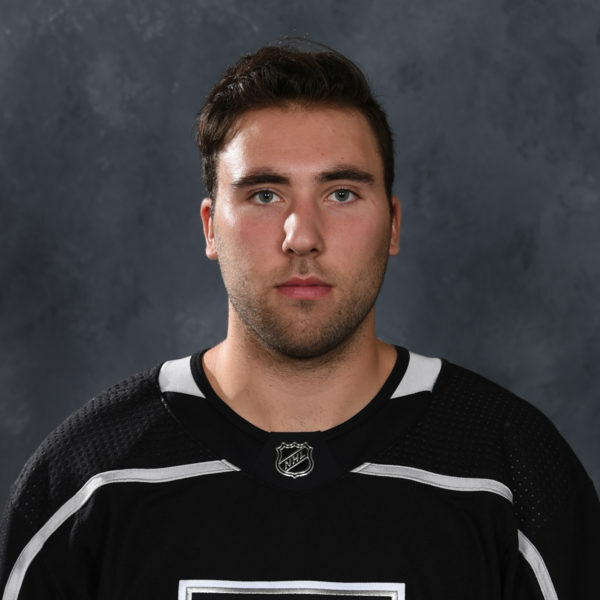 The Los Angeles Kings acquired the rights to 1996-born Bokondji “Boko” Imama (boh-khan-JEE ih-MA-ma) from the Tampa Bay Lightning on Wednesday in exchange for a 2018 seventh round draft pick. The draft pick is conditioned on Los Angeles signing Imama, a 2015 sixth round pick, to an entry-level contract before Thursday’s 2:00 p.m. PT signing deadline. If unsigned, Imama will become a free agent. At the time of this story’s release, hockey ops did not have an immediate appraisal on negotiations with Imama. 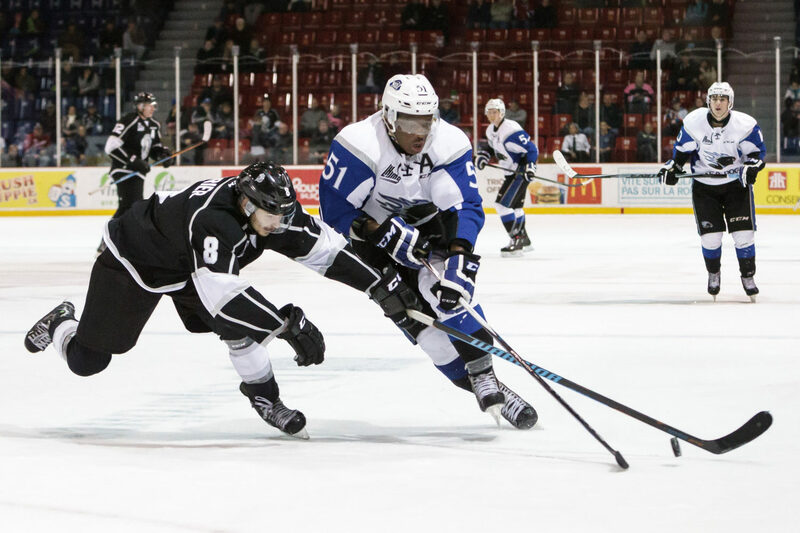 A 6-foot-1, 221-pound forward, Imama was an assistant captain with QMJHL-Saint John in 2016-17 and turned in an outstanding overage season. Though his previous career-high in goals was 13, he tied for seventh in the league and led the QMJHL champs with 41 regular season goals before tacking on another eight in 18 playoff games. He can also fight. 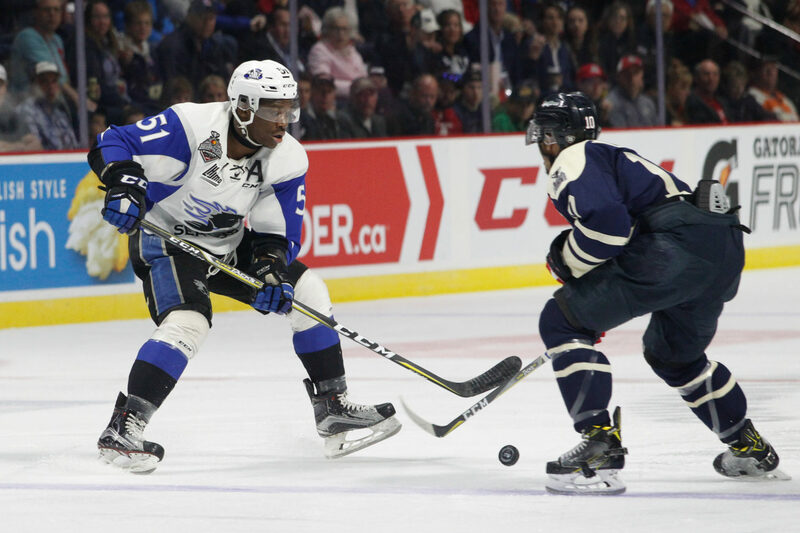 Imama fought 47 times in pre-season, regular season and post-season QMJHL games and also took on Mathieu Olivier during a Tampa Bay-Nashville rookie game last September. 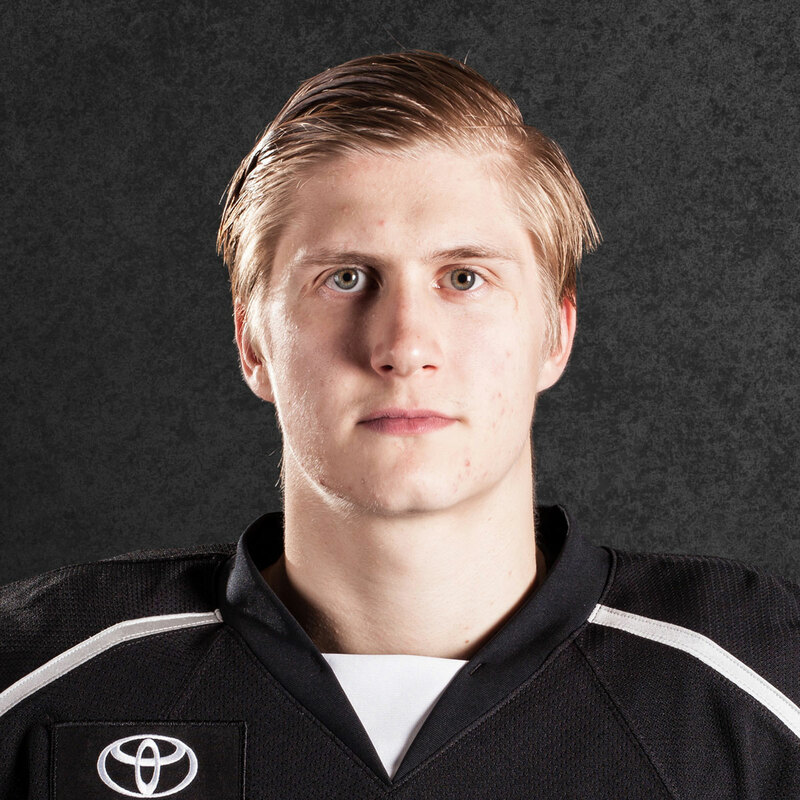 Prior to being drafted by the Lightning, he also attended training camp with his hometown Montreal Canadiens in 2014. 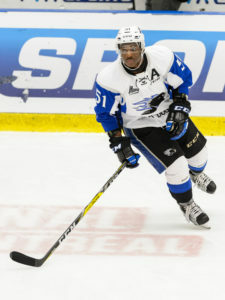 Bokondji, known for his upper-body strength as a burly power forward who had a breakout season offensively, has a profile on paper that isn’t too dissimilar from that of Nic Deslauriers, the converted defenseman who experienced an offensive breakthrough with Manchester in 2013-14 and has been a capable fighter and provider of energy for Buffalo since being sent to the Sabres in the Brayden McNabb trade. But Imama, who experienced production in major junior hockey that only a select few are able to match, could have a touch more skill and upside. He showed this past year that he’s much more than a fighter, and a revealing story by William Douglas in The Color of Hockey details Imama’s focus from the 2016 off-season through Tampa Bay’s training camp and his terrific 2016-17 season in establishing himself as a player capable of thriving in much more than the heavier aspects of the game. Milan Lucic and Wayne Simmonds are players whose styles of play Imama appreciates, as Douglas wrote. Still, the forward knows what his identity as a player will be as he graduates from junior hockey. 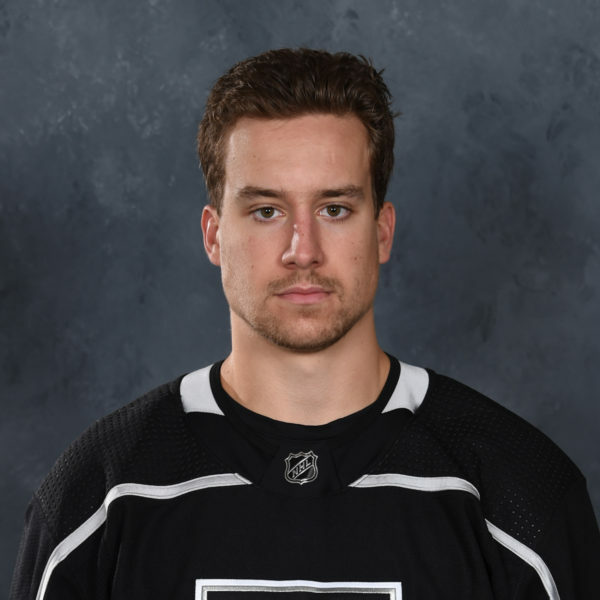 “That old me” he was referring to is an allusion to a pair of suspensions from the 2015-16 season, one of which was a 15-game verdict handed down after he left the bench to stick up for a teammate and fight an opponent during a game in Halifax in December, 2015; another was a seven-game suspension for a bad hit in a game against Cape Breton in April, 2016. But the son of parents who emigrated from the Democratic Republic of the Congo had a much different approach to the sport than his peers, as Sunaya Sapurji wrote in LoosePucks.com. As a child, however, those same hands often played with dolls, the result of being the only boy sandwiched in age between his four sisters: Alice, Bononga, Bandeja and the youngest Kumbia – named after their mom. His parents, Bokondji Sr., and Kumbia, emigrated from the Democratic Republic of Congo and there were only a few friends with sons around the younger Bokondji’s age. As a player who turns 21 in August, Imama is not eligible to return to junior hockey and will play professionally in 2016-17. Should the Kings ink him, that means he’d try out for a spot with Ontario. 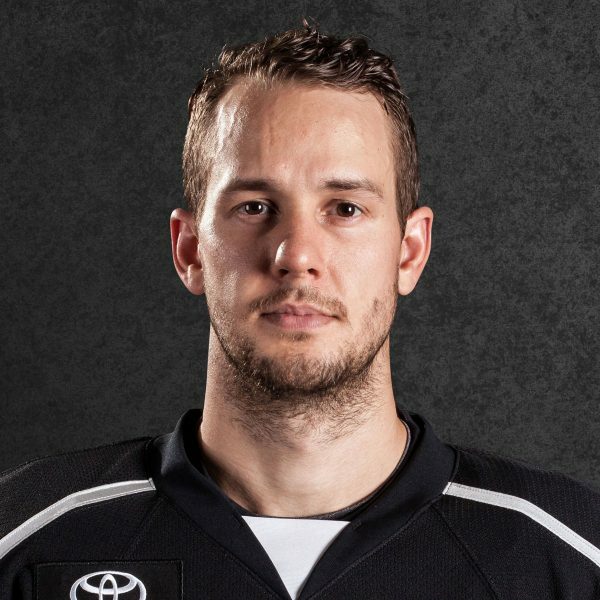 Keep in mind that the Reign have not yet signed their own free agents to AHL contracts – TJ Hensick, for instance, was Ontario, not Los Angeles property this past year – and while Sean Backman has moved on to DEL-Berlin, players such as Austin Wagner and Matt Luff are 20-year-olds eligible to play in either pro hockey or junior hockey, and Spencer Watson should be expected to earn a spot on the Reign. There’s a bit of competition for a spot with Ontario, which will likely be addressed during negotiations in advance of tomorrow’s deadline. Sixth-round pick RW Bokondji Imama loves to fight. Just ask fellow Lightning prospect LW Adam Erne, who knows from experience. Imama, 18, and Erne, 20, have played against each other often in the Quebec Major Junior Hockey League. During one game, Erne, with Quebec, mixed it up with Imama, who played for Baie-Comeau and Saint John. “I hit him, and he didn’t like it,” Erne said. In 276 career QMJHL regular season games with Saint John and Baie-Comeau, Imama totaled 71 goals, 123 point and 463 penalty minutes. He set career-highs in goals (41), power play goals (14), game-winning goals (8) and points (55) in 2016-17. Bokondji Imama is a fantastic pickup for the Kings. You won't find a better person or a more improved player: 41 goals with SJSD this year. 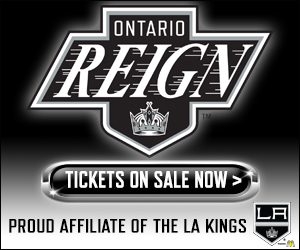 « Previous Post Vegas free agent window details; which Kings are exempt?